“It’s the most wonderful time of the year.” Right?! I adore the Christmas season. The weather, the shopping, the decorating, and the CHEER. 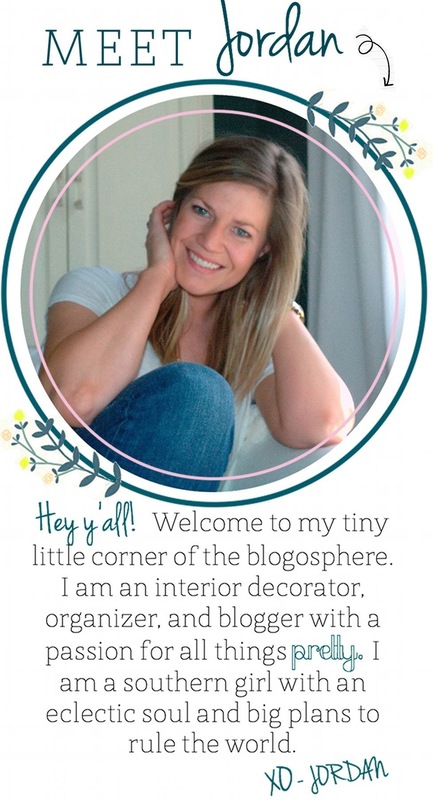 After sprucing up a few clients’ homes for the holiday season, I figured it was about time I shared MY home with y’all. 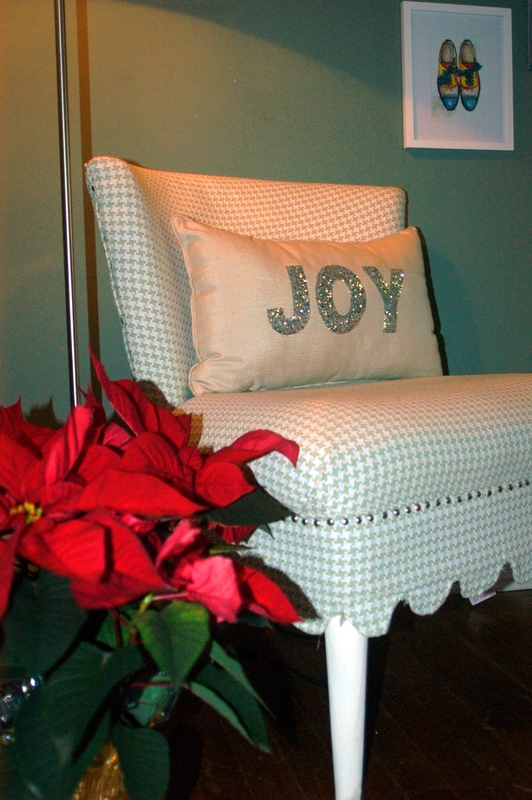 When it comes to decking the halls, I am a firm believer that you should do what makes YOU happy. Just because something is trending does not mean that you need to cover your house in it for Christmas. 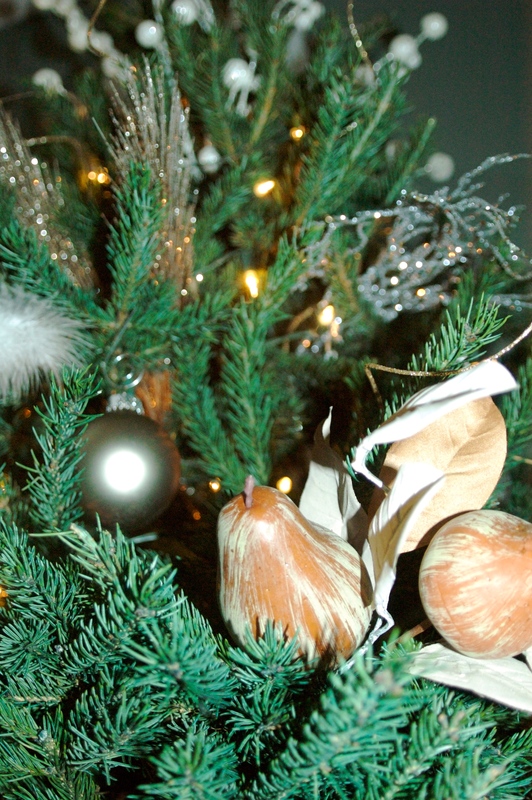 If that old Santa ornament is sentimental to you, it is okay to put it on the tree. I promise, no one will judge you. But as for me, I like to keep things relatively simple. It is nice to walk into a room and feel a holiday spirit, without it looking like a Christmas gift shop threw up in your home. But again, to each his own. If you enjoy going all out, do it girl. You go wild, and do it with pride! Since I was little I have collected silver and crystal ornaments. Every year I get a new one from Mommy and Grandma, and I really enjoy the way they look on the tree and the memories that are connected to them. With those taking up a fair amount of space on my tree, I fill the leftover spaces with glass balls and baubles that are mostly neutral in color. 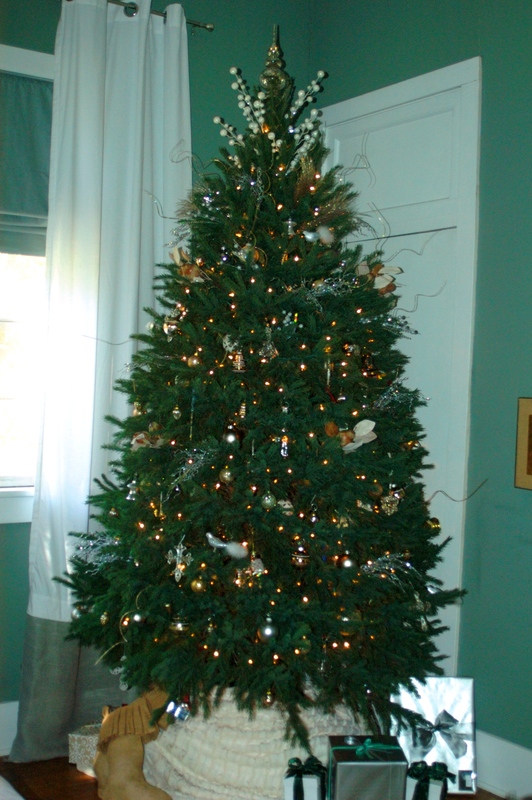 A few natural elements give the tree a rustic and cozy feel. 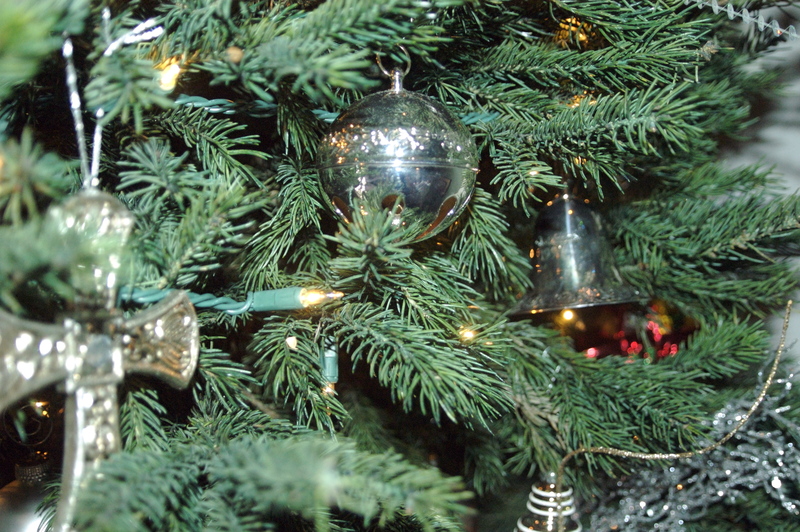 A collection of Sterling Silver ornaments dangle from the branches of my tree. 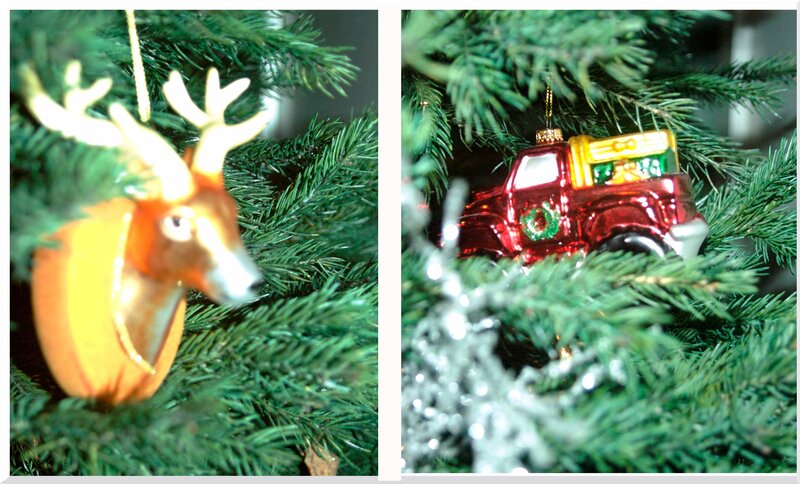 And because it is not ALL about being matchy-matchy, my big truck driving boyfriend, Blake, still gets a place for his ornaments. 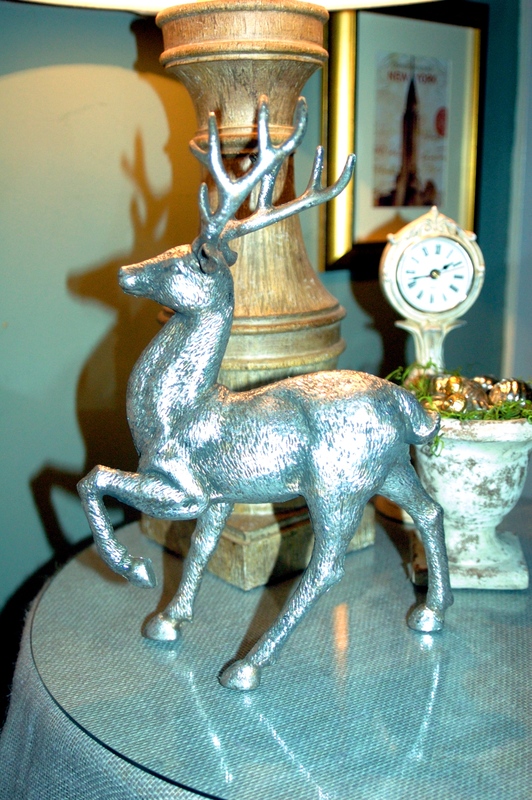 You can find the reindeer one here on Fab.com, and at a great price! Did y’all notice my makeshift tree skirt? I learned this year, while shopping for a new one, that I am apparently pretty dadgum picky. Not sure why this came as a surprise to me, considering how picky I am with many things in my life. Let’s call it “overparticular.” Does that make it sound less high-maintenance? Oh well, we all have our flaws (“quirks”). I digress. I shopped high and low for a skirt to lay beneath my tree but I was unsuccessful. The ones I saw, I strongly disliked. I wanted something simple and elegant. No cartoon Christmas characters, no built in lights, and no singing Santas. There were a few fabulous options at Restoration Hardware but they came with a “fabulous” price tag. Over budget! I had my heart set on a fluffy, fur skirt so when I shared my frustration with my mother, she offered up an easy-on-the-wallet solution. Props Mommy, props. She suggested I drape a fur throw around the base of my stand. Luckily, I had a spare faux fur throw on hand (a future hostess gift for the upcoming Christmas parties), so this temporary tree skirt came to me for FREE. WHAM, BAM, THANK YOU MA’AM! A fluffy furry tree skirt, for fun! 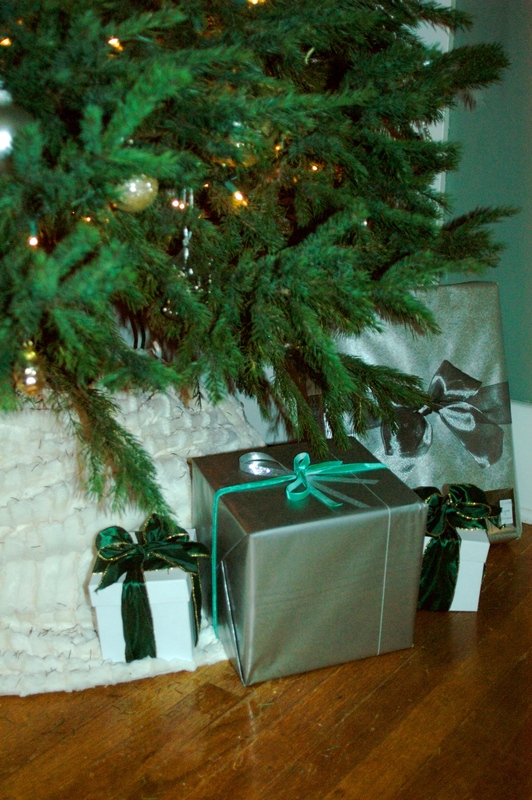 Here are a few other little holiday details throughout the home. 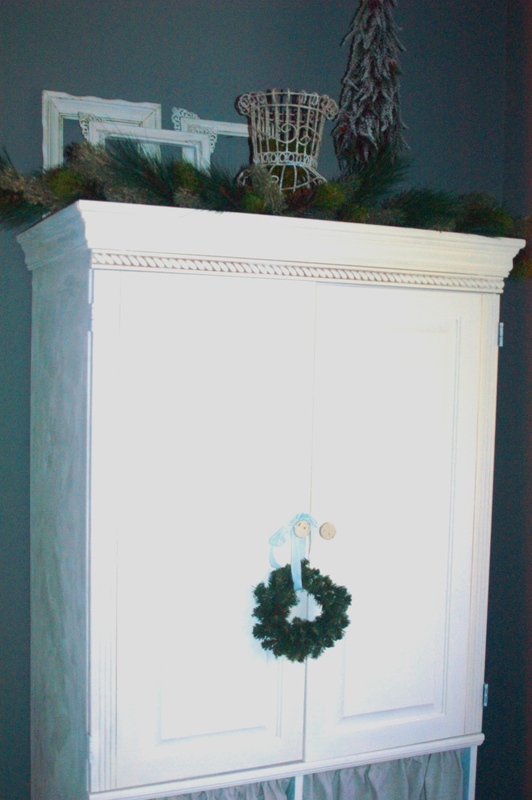 An old tin bucket finds a new home for the holidays, adding some natural elegance to a neglected corner. 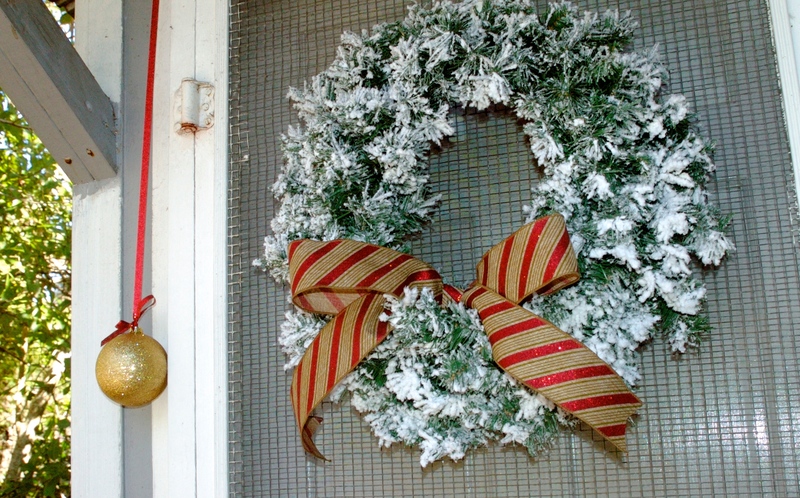 Hang miniature wreaths from pretty, velvet ribbon. 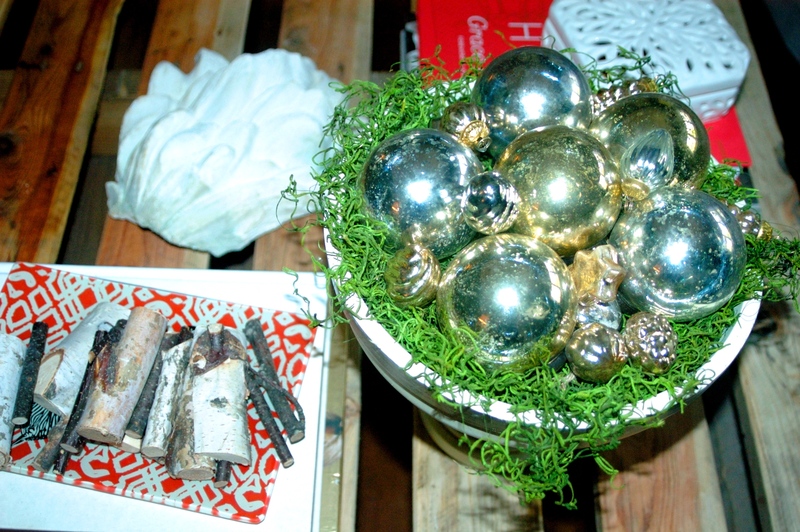 Fill a bowl with an assortment of mercury glass ornaments. Most of mine came from Pottery Barn. My little touch: For some added merriment, burn a spruce scented candle (especially if you have a faux tree). 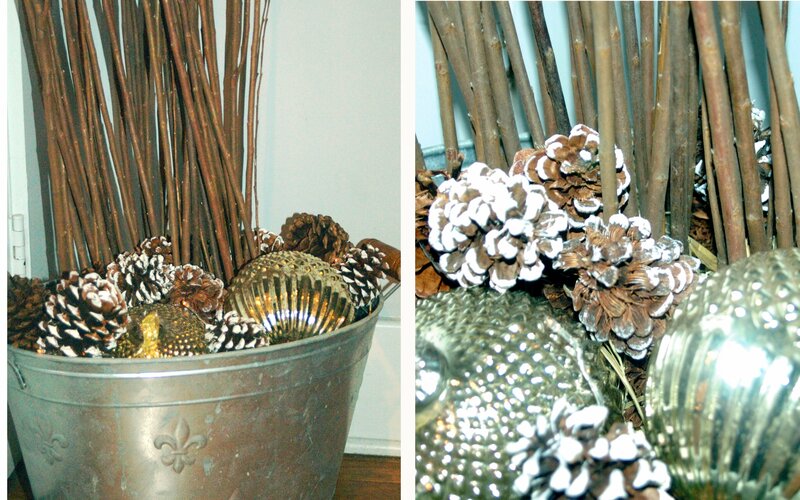 Your home won’t just look winter, it will smell like it too!